Even though it'll still be quite some time before spring, I can't help feel drawn to pastels and florals lately. 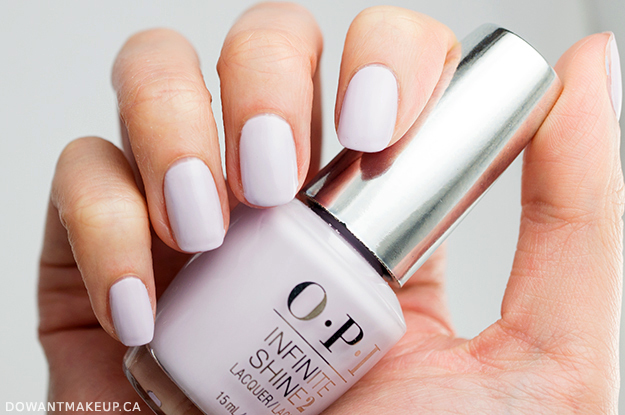 OPI Infinite Shine in Lavendurable fits the bill perfectly: it's a super soft, muted lavender. It's almost like an off-white that's just barely tinged with lavender. 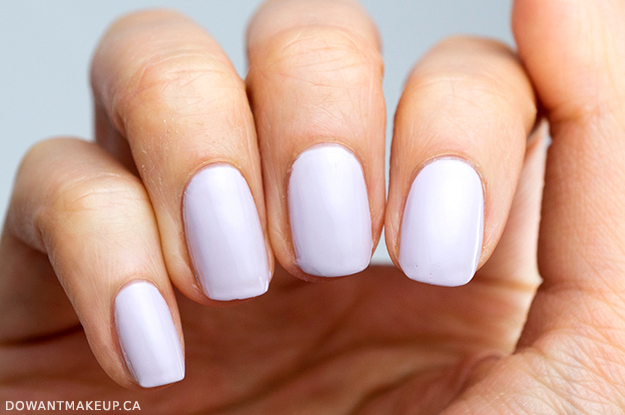 In certain lighting/angles, it could be mistaken for a neutral shade. Application-wise, it doesn't stand up to the very good experience I've had with OPI polishes so far. This one was challenging and required a light touch to avoid streaking or lumpiness, on top of being a bit thin. I'm wearing two coats here, which still leaves a slight visible nail line. But it's so pretty, I can't even be a little annoyed at it. What are your go-to spring nail polish shades?